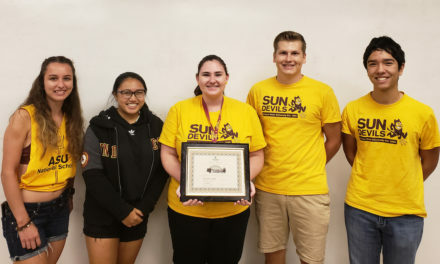 A student-led project that started as part of the Engineering Projects in Community Service (EPICS) program at Arizona State University is one of five finalists in Entrepreneur Magazine’s College Entrepreneur of the Year competition. SafeSIPP (Sustainable Innovative Portable Purification) is simultaneously solving three problems for rural communities in Africa: transportation, purification and storage of clean drinking water. 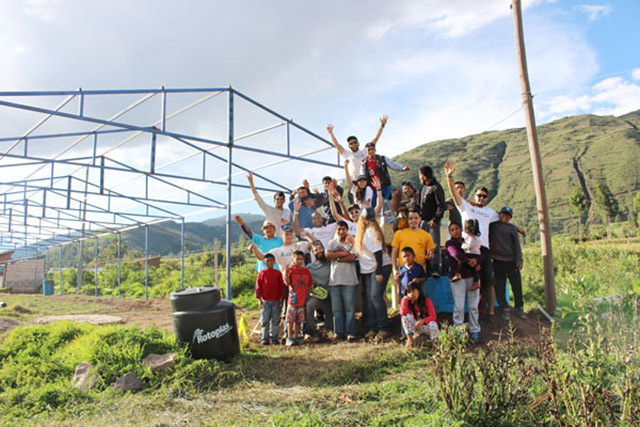 The team has designed a three-phase water purification system that works when a barrel—made from 80 percent recycled materials—is rolled across the ground from a water source to the community for consumption. To vote for Schoepf and SafeSIPP, visit entrepreneur.com/e2013college. Schoepf graduated with a bachelor’s degree in chemical engineering in May from ASU’s Ira A. Fulton Schools of Engineering and is now pursuing his doctoral degree at ASU in the same field. Other SafeSIPP members include Lindsay Fleming and Taylor Barker, both recent chemical engineering graduates. Schoepf says that he was often involved in volunteer efforts as a high school student at Desert Vista in Phoenix, Ariz. At ASU, he discovered EPICS, a service learning class that pairs engineering students with not-for-profit organizations. Students gain valuable hands-on experience and community organizations get much-needed technical expertise. EPICS was founded at Purdue University in 1995. ASU joined EPICS—now a network of 21 universities—in 2009. “I learned that there are other ways to give back, and I gained leadership experience at the same time,” Schoepf says. 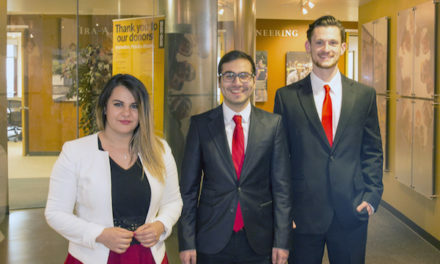 Schoepf teamed with Fleming, Barker and Jacob Arredondo, a marketing and finance major, to take on a project addressing some of the extensive water problems in developing countries. Each day, women and children travel several miles to obtain water, and then must transport heavy 80-pound jugs back to their communities. The water is often laced with disease-causing contaminants. The team designed and built an inexpensive and sustainable water purification system that serves the dual purpose of providing transportation for the water. Working with Warren Te Brugge from the nonprofit organization My Arms Wide Open, team members traveled to South Africa last fall. “It was very valuable to see the problem first-hand,” Schoepf explains. SafeSIPP’s system has undergone testing for efficiency and durability, and the team is pursuing certification for the technology through the Environmental Protection Agency and NSF (National Sanitation Foundation) International. They hope to launch sales in January. SafeSIPP evolved from a class project to a full-fledged small business with team members taking on more than just the technical aspects of the system. The nomination as College Entrepreneur of the Year is not the team’s first accolade for their efforts. SafeSIPP has won funding through ASU’s Innovation Challenge and as winner of ASU’s 10,000 Solutions Challenge last fall. SafeSIPP was also one of the ventures selected during the 2012-2013 academic year to receive support from ASU’s Edson Student Entrepreneurship Initiative, earning the team some funding as well as office space and business mentoring. “These resources have provided a very powerful learning experience,” Schoepf says. Schoepf also represented ASU at Clinton Global Initiative University, which brings together leaders from college campuses around the world. “On the last day during the poster exchange, the people I spoke with were very supportive of our venture. They were impressed with all the work ASU students have completed,” he adds. Entrepreneur Magazine’s annual awards feature entrepreneurs in three categories: established, emerging and college. 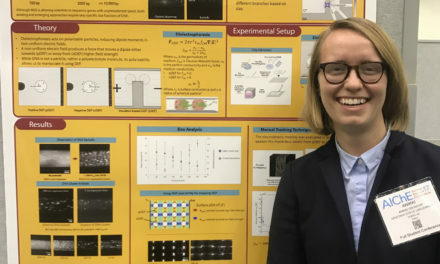 This is the third year in a row that a team of ASU engineering students has been a finalist. In 2011, the G3Box team was named the winner. Winners are chosen by a combination of online voting and the decision of a panel of judges. Online voting has begun and will continue through September 17. To vote in the College Entrepreneur competition, visit entrepreneur.com/e2013college. To learn more about the innovators nominated, visit entrepreneur.com/e2013. For more on SafeSIPP, visit safesipp.org.